Why Winsome Pro is perfect Parallax WordPress Theme? Winsome Pro is a responsive multipurpose one-page theme. It has scrolling sections in homepage. It is flexible and dynamic enough to use as multi-page or single page site. 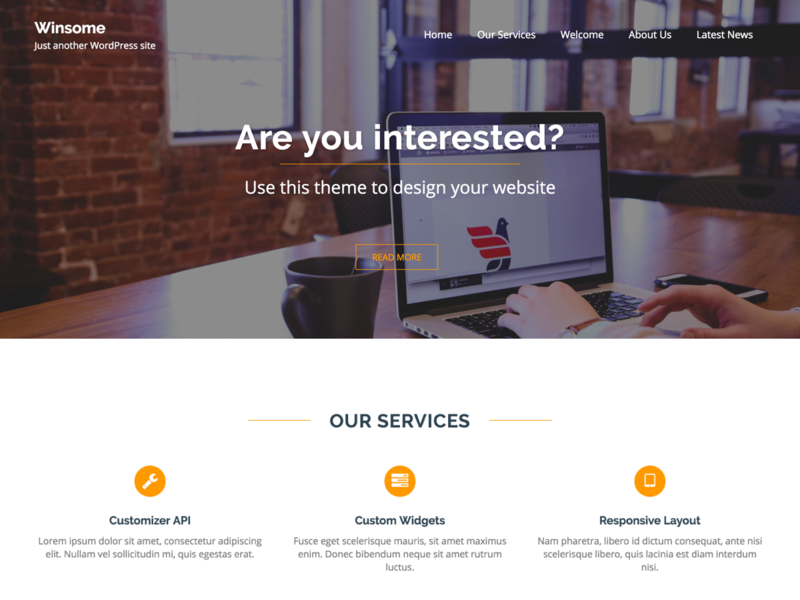 Furthermore, It is the best and well suitable theme for business, corporate, portfolio, digital agency, landing page, product showcase and all informative websites. Also, click here to see step by step guideline for demo content installation. Consequently, Winsome has been tested to work across tablets, and popular smartphone devices that are powered by Android and iOS. Winsome’s multi-page design has a tremendous blog design, one worth checking out just for the sake of seeing how creative your site looks.